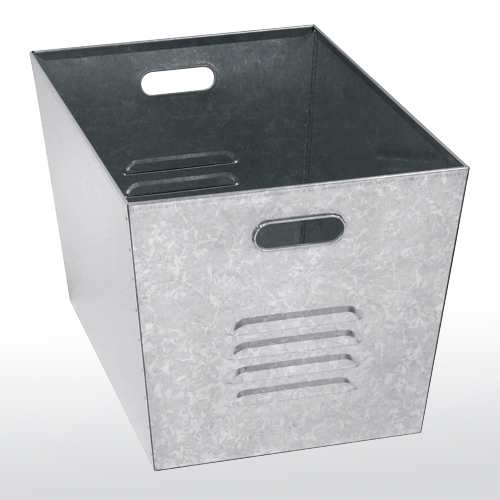 Durable rust-proof galvanized welded steel construction. Can be nested for easy storage. Louvers for ventilation. Rolled edge handles for safety and comfort. Fits on most shelving units to keep items organized. Sold in packs of 6. To compare several categories within Accessories/Parts, click on View All Accessories/Parts.